Danielle Lammens holds a Master degree of Chemical Engineer. In her career, she had several positions started as Process Engineer, Project Engineer and Project Management at the EPC company John Brown, later Aker Kvaerner. 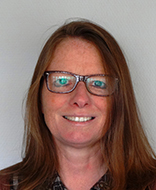 Prior to joining Exmar Ship Management, she worked as Maintenance Manager at Moerdijk site of Shell Nederland Chemie BV, where she experienced the full reconversion of breakdown maintenance to planned maintenance. In order to achieve this reconversion, all units were subject of Reliability Centered Maintenance and Risk Based Inspection studies. At the same time the implementation of Condition-based Maintenance started on site. In august 2014, Danielle decided to face a new challenge within Exmar NV as LNGi project manager and shortly after, November 2015, as Maintenance Excellence Manager at Exmar Ship Management NV. As Maintenance manager she is responsible of the entire existing fleet and for the new building projects. Her task is to determine the right maintenance philosophy and strategy for each business unit, each with different business objectives, and to bring the maintenance of the whole Exmar fleet to a higher level.